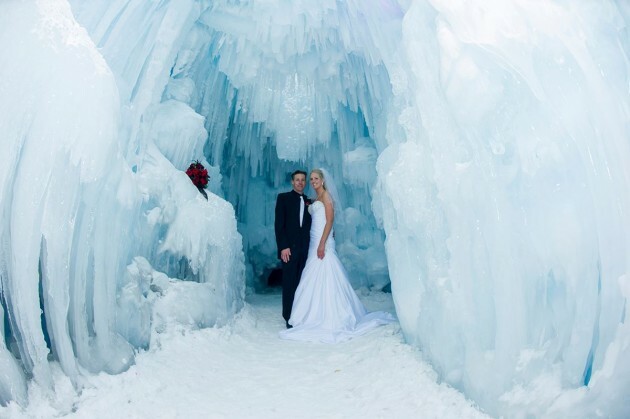 In this amazing image you see Leah and Dustin in the Ice Castle in Breckenridge, Colorado. Katie Girtman of Studio Kiva Photography, a Breckenridge wedding photographer, took the couple to this surreal location in downtown Breck this past weekend. Great job!